A brand new team sits atop the Playoff power rankings, following two straight uninspired performances by Ohio State. The Spartans didn't absolutely crush Air Force this past week, but still played a complete game and showed their offense was one to be feared. Most important, Michigan State owns perhaps the nation's top non-conference victory with that victory over Oregon and they haven't been significantly challenged. With a number of top heavyweights starting the season off slow, that is enough for now. Certainly, there has to be some worry about Urban Meyer's football team. Easy wins against Virginia Tech and Hawaii to begin the year didn't show the whole story (that the team was far from dominant in either) and then there was this week. The Buckeyes were held to less than 300 yards of offense and turned the ball over constantly in a slim victory over a decent Northern Illinois team. That performance has left the quarterback position a problem, and after a flaming hot start, Braxton Miller has cooled off significantly at H-back. Even so, the talent up and down this roster and the fact that the team is still flawless is enough to anchor them in the top four. People were quick to overreact after Ole Miss' victory over Alabama a season ago, pushing them to the top of AP polls and digging them as a legit Playoff contender. Injuries and more contributed to the downfall of a 9-4 team, but realistically they shouldn't have been ranked as high as they were. This season, the Rebels are coming off a huge win over Alabama, but this one was much more impressive. Even on the road, with a young quarterback in Chad Kelly, Ole Miss promptly took down the Tide and forced five turnovers. Sure, there were some lucky breaks and the Tide's offense was nowhere to be found for much of the game but it was a statement victory. Paired with two punishing victories over much lesser opponents to begin the season and Ole Miss should get the attention they deserve this year. Quietly, TCU just keeps on winning. Sure, they aren't putting up 82 points on the scoreboard, but they have shown of offensive firepower in consecutive weeks against Stephen F. Austin and SMU. Though, what is hurting the Horned Frogs right now is that their signature win, Minnesota, has been very unimpressive to begin the year. The Gophers, who TCU beat by just six, have barely survived against inferior competition, with three-point victories over Colorado State and Kent State. That means that for now, TCU is a fringe Playoff team, instead of a lock. While the Alabama-Ole Miss tilt was certainly the biggest game of the week for the SEC West, LSU's dominating win over Auburn was definitely important as well. Beyond the powerful running of Leonard Fournette, who has thrust himself into the Heisman spotlight, the Tigers obliterated the visiting Tigers. Sure, Auburn is far from the team that many picked to win the SEC, but is was still a powerful showing for an LSU team that has begun the year with two straight SEC victories. The Bears had a bye this past week, getting an off week before a meeting with Rice and then a trip to Lubbock to take on Texas Tech to begin their Big 12 slate. A resume with wins over SMU and Lamar isn't exactly ideal for Baylor, but the Bears haven't really had an off week and the Big 12 will get them numerous chances to strut their stuff. 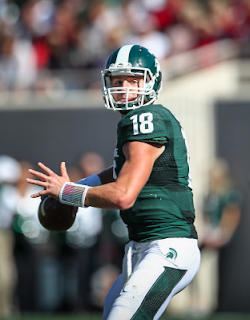 The offense appears to have not missed a beat, even with the graduation of QB Bryce Petty. Are the Irish this year's Ohio State? Even without their starting quarterback and running back, the Fighting Irish managed to hang on and take down a surging Georgia Tech team. Quarterback DeShone Kizer had some ups-and-downs but back C.J. Prosise proved he could be the playmaker in the backfield the offense needed, with three total touchdowns. Though, the big story was on the defensive side of the ball, where the Irish continue to play terrific. A home game against UMass will be a welcome break for the Irish before their brutal schedule picks up again with a trip to Clemson. 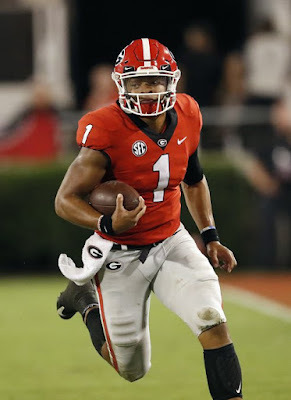 The SEC West has already begun to beat itself up, but the Bulldogs have emerged as the clear cut favorites to take over the Eastern side of the league. 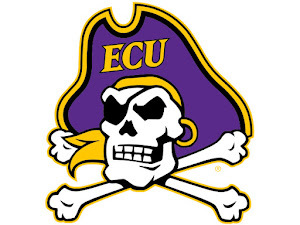 That was only further indicated this past week, with a terrific showing against a South Carolina team that just looked overmatched. Nick Chubb continues to race his way towards a Heisman, with another dominating performance. Though, what was most refreshing for the Bulldogs was the big day from quarterback Greyson Lambert. After a pedestrian start to the year, Lambert exploded for 330 yards and three touchdowns. If the Georgia passing game can continue to play well, this offense becomes extremely tough to stop.